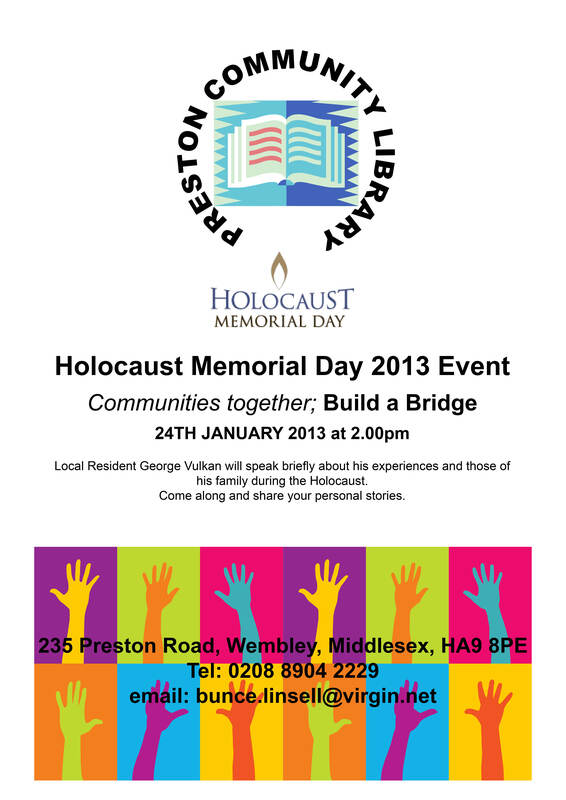 In acknowledgement of Holocaust Memorial Day 2013. Local Author Daniel Ridley-Kitts MBE, signing his recently published ‘Military, Naval and Civil Airships since 1783’ by The History Press, at Preston Community Library this morning. Despite the recent cold weather and long nights the borough’s library campaigners were out in force to spread festive cheer this week. 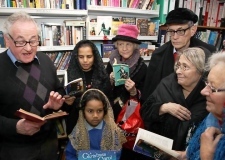 Members of the Preston Library Campaign, took up residence in Preston Community Library, a temporary reading room in Preston Road, Wembley, for a Charles Dickens reading session.